I asked the world’s Top 100 digital marketers for advice. Here’s how they responded. 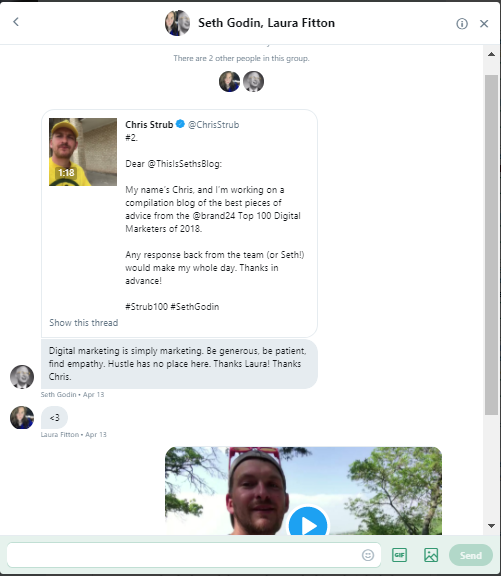 Note: This article is about the #Strub100, a project where on April 5–6, 2018, I, Chris Strub, sent a Twitter Video to each of Brand24’s list of the Top 100 Digital Marketers of 2018 for their best piece of advice for a young aspiring digital marketer. As of this post, 40 (UPDATE, May 19: 42) of the 100 have replied. To see their replies, scroll all the way to the bottom of this article, or read all the way through to learn more about my methodology and purpose. The idea is that no matter how talented might be, or how broad the hype, you only bring value to the team when you’re able to be on the field. I’ve roadtripped the United States several times, but what matters most is the engagement — not Photoshopped landscape imagery. 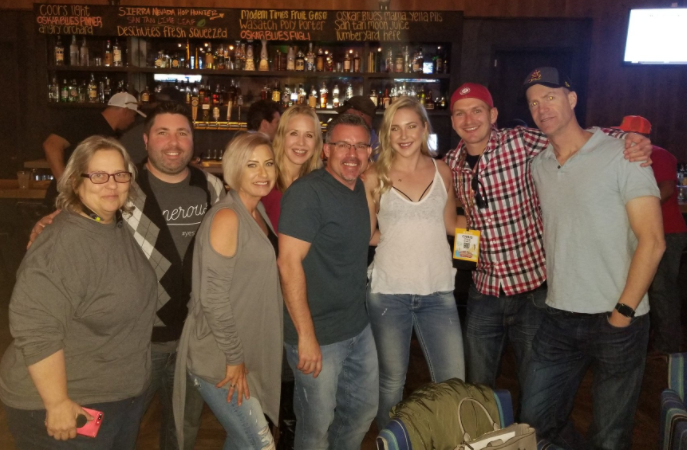 This is from a social media meetup in Phoenix in early March. Great content will always hold value, but in 2018, for many customers, engagement trumps content every time. I love using Twitter to test this theory with brands in my day-to-day life. A few weeks ago, just north of Nashville, I found myself looking at dinner options, at a hotel surrounded on all sides by chain restaurants. Rather than just blindly close my eyes and pick one, I decided to let the brands make the decision for me. Thirteen brands, including the aforementioned Wendy’s, and Taco Bell — a chain with shelves full of awards for its astute social media presence. But where did I end up eating that night? After a story like that, how could I not grab a two-piece combo — and share it with my 17,000+ Twitter followers? That fried chicken dinner in Goodlettsville, Tenn., was still on my mind last week when I stumbled across a list of the “Top 100 Digital Marketers of 2018,” as compiled by Brand24. Visibility, ingenuity, and effectiveness are all great, but my most valued attribute is accessibility. Engagement. Availability, if you will. And for all the hullabaloo about thought leadership, we’re talking here about social media. Social. Media. Social. As in, the place where people go to have conversations with one another. So, with Colonel Sanders still on my mind (and on my gut— gotta be careful with the diet while roadtripping! ), I decided to initiate an experiment, to test just how conversational these 100 thought leaders are. Now, before I get into the methodology, a few things to keep in mind. First and foremost, I highly encourage you to think positively — not just about this story, but more broadly about everything on social media. The fact that your favorite Twitter-er may not have replied to this effort shouldn’t have any negative effect on your perception of that person. There are plenty of reasons why someone wouldn’t reply to a specific Tweet, one of which — especially given the popularity of this group — would be that he or she simply didn’t see it. I didn’t ask for a reply in any given amount of time, nor did I, or am I, pressuring anyone to reply to my Tweets — or, heck, to any Tweets they get. How anyone chooses to use social media is completely up to them. However, I do highly value those people who are willing to engage in conversation with me — as I think many others do. This is why I’m choosing to focus this recap on those who have replied, instead of listing all 100 people and singling out who has and has not answered. Additionally, I will update this post as any further replies beyond today (April 9) come in. Last Thursday afternoon, April 5, at a hotel just north of Dallas, I decided to reach out to the Brand24 list. Although the list was not exclusively about Twitter, I knew that Twitter was the right channel on which to focus this outreach. All 100 of the Brand24 are active on Twitter (except for one — more on that in a moment, too). So sending a simple text Tweet wasn’t going to cut it. Filming a YouTube video and Tweeting it to everyone on the list wasn’t good enough, either. So I charged my iPhone to 100%, grabbed my RodeLav mic for perfect sound, headed outside — and started filming. That’s right — on a warm Thursday afternoon in Dallas, I decided to film and Tweet individualized Twitter videos to the world’s top 100 digital marketers. Forty percent of the audience said they thought that between 30 and 59 of the 100 would reply — and, so far, they’re just about right on. With the benefit of being the second video that I sent out, the first person on the list to reply was #99 — David Meerman Scott. He pinged me back within 45 minutes of my initial outreach. I recorded about 25 videos, collecting valuable steps on my Fitbit while walking circles around this hotel. But I’m definitely not a quitter, and so I pressed on into the evening and late into the night. The replies rolled in at about a 30% clip, which, again, was right around what the audience — and I — was anticipating. Once I remembered to turn off the automatic iCloud upload — which would double the time it took to Tweet the videos out — the process wasn’t nearly as bad. Each video was about a minute long, with a few exceptions for those I know personally (like Brian Fanzo @iSocialFanz and Mike Allton), and I wouldn’t recommend investing time in trying to watch all 100 of them, because the messaging was mostly the same every time. However, I always made sure to try and personalize each and every video, so that the person I was sending it to knew I wasn’t being robotic or scripted. Much as I do during live-streams, I knew generally what I wanted to say, but I didn’t know how exactly I was going to say it. The key was to be as natural as possible, each and every time. I’ve never met Nathan, but knowing that I will see him in Atlanta next month for The Social Shake-Up Show, I decided to leave this imperfect video as a possible conversation starter for the future. The easiest videos to record were the ones to the people that I was already familiar with, and not surprisingly, those people were the ones who responded most warmly. I’ve written a ton about my mentor Brian Fanzo, and he was among the select few who replied to my Twitter video with a walk-and-talk video of his own. That Mike and Brian, and several others, replied quickly and in great detail with Twitter video should be an indication to everyone reading this that the people you look up to in your industry are likely much more accessible than you might think — and that reaching out with a personalized Twitter video is a great step towards getting the response, and more importantly, building the relationship, that you’re looking for. Mike and Brian’s videos were terrific, but one of the Top 100 went WAY above and beyond with a video response of his own. I knew Christopher Penn only from Twitter at Social Media Marketing World 2018 — unfortunately, we didn’t have a chance to meet, but our handles spent all week together on various hashtag-tracking leaderboards in San Diego. He replied very quickly on Thursday evening to the video I sent him at №60, promising a longer response the next day. And he strongly over-delivered. Chris delivered a 9-minute video, hosted on his own website, complete with a full transcript of his response, as part of his ‘You Ask, I Answer’ series. Of all the replies to the #Strub100 project, Christopher Penn’s efforts definitely stood out. The second day of the #Strub100 project, Friday, April 6, brought upon the biggest names in the industry, as I worked my way up toward №1 — Gary Vaynerchuk. As I Tweeted that evening, I felt a tiny bit of regret having launched the project late on a Thursday; if I was doing it all again, I probably would’ve started on a Wednesday, and stretched it into a Thursday, to give everyone on the list the benefit of a full business day to see and hopefully reply before the weekend set in. Again, it’s incredible how a quick Twitter video can make all the difference. The Top 10 approached, and after a superfood wrap at Which Wich — again, this blog not sponsored by Which Wich — I dug in and kept working my way towards the top. Having Tweeted well over 100 times into the same thread, I figured it would make sense to plug some other content into the conversation. So I shared a few links to the other projects I’ve been a part of, including the 25-state Salvation Army Fight For Good Tour. I wore a different outfit for the last set of videos: an official #TeamStrub t-shirt, and my new “I Am Here” hat. The yellow was a topic of conversation at MDMC18 with keynote speaker, and №19 on the list, Pam Moore, who joked that she thinks I look like Aaron Paul (Jesse from Breaking Bad). Do you see it? The yellow t-shirt, which you can buy here, features the full list of states that I visited during the ’50 States, 100 Days’ adventure I took in the summer of 2015. During that journey, I volunteered with a different youth-related nonprofit in each state. You can buy my book on Amazon here. As I reached the top two — Seth Godin and Gary Vaynerchuk, two extraordinarly talented thought leaders and transcendent figures of our generation — not to mention multi-millionaires — I considered trying to film something special and different for them, to try and get their attention. But I figured in the spirit of the project that it made the most sense to keep all 100 videos pretty much the same. I did use the Clips app on my iPhone to (nervously) record the video to Gary, in hopes that it might jump out among his mentions. As of now, neither Seth nor Gary, nor their respective teams have replied, but wouldn’t it be awesome if they did? UPDATE APRIL 22: Well, I stand corrected! On the afternoon of Friday, April 13, I got a DM from №2 on the list, Seth Godin himself, with his advice. Scroll to the bottom of the article to see it, and huge thanks to Laura Fitton for her help! This project, while not technically over — as I pledge to update this post with any additional replies from the Top 100 — has taught me a lot about using Twitter to reach out to thought leaders. I do wonder how much better of a response rate the project would’ve received if I was familiar with all 100 people on the list. It’s clear from auditing their Twitter profiles, albeit quickly, that some of these thought leaders never reply to anything, so a response rate of 100% would never be achievable. But to hear back from 40 (edit: 42) of the world’s leading digital visionaries feels like a commendable achievement on its own. Additionally, all of this comes without much analysis of the actual advice that was given along the way! I’m listing here every response I received so you can take value from it, and I’d highly encourage you to reply and share your favorites from the collection below. I’d also very highly recommend you follow all of those who took the time to respond to this project — it’s clear that not only do they bring value and vision to the brands they work with — in some cases, the biggest companies in the world; in others, their own personal ventures — but they genuinely care enough about their Twitter audience to take the moment to reply to their followers. That, to me, means more than any measures of visibility, ingenuity and effectiveness. You can see the full Brand24 list here. And one last thing: I want to express my sincere gratitude to everyone on the Brand24 list who has replied back, as well as everyone who’s connected with me on social media to express their excitement about this idea. I very much appreciate it! These are all the replies I’ve received to the #Strub100 as of 9:15 a.m. Central, April 22, 2018. If more do come in, I will update this post accordingly. I do strongly encourage you to please share this post out on your favorite social media channels, and if you do so, please be sure to tag me, @ChrisStrub, and if possible, use the hashtag #Strub100. I’d also encourage you to tag the person who you think gave the best advice, and try to keep the conversation going with him or her! 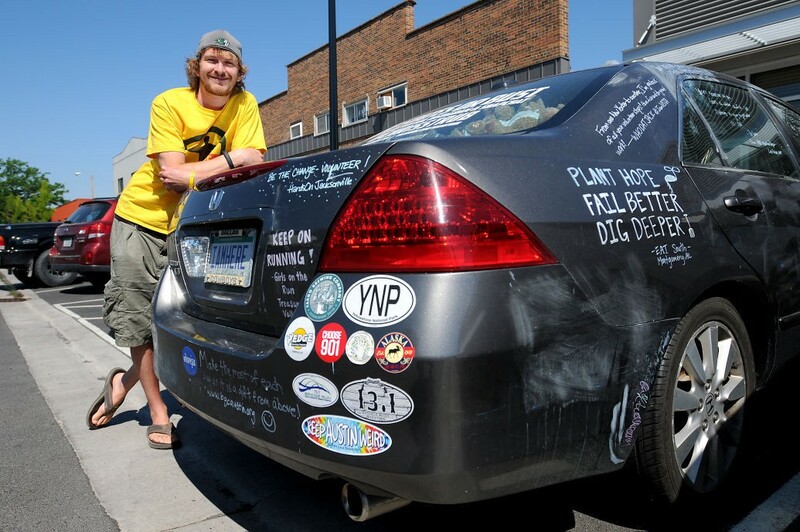 Chris Strub is the first person to use live-streaming tech in all 50 U.S. states, having taken a roadtrip around the U.S. to work with different youth-related nonprofits in every state in the summer of 2015. Chris has worked with brands like Humana, Big Brothers Big Sisters of America and The Salvation Army USA, and is available to speak at your event in 2018–19. Contact Chris via email at chrisstrub (at) gmail or via Twitter to make it happen. Chris Strub is the first person to live-stream and Snapchat in all 50 U.S. states, creator of the online course ‘Livestreaming for Nonprofits,’ and author of two books about his adventures around the country: ’50 States, 100 Days: The Book,’ and ‘Fight For Good Tour: The Book,’ both available now on Amazon. Chris is a millennial keynote speaker and available to come speak at your event — contact him via Twitter or email, chrisstrub (at) gmail (dot) com to book ASAP.